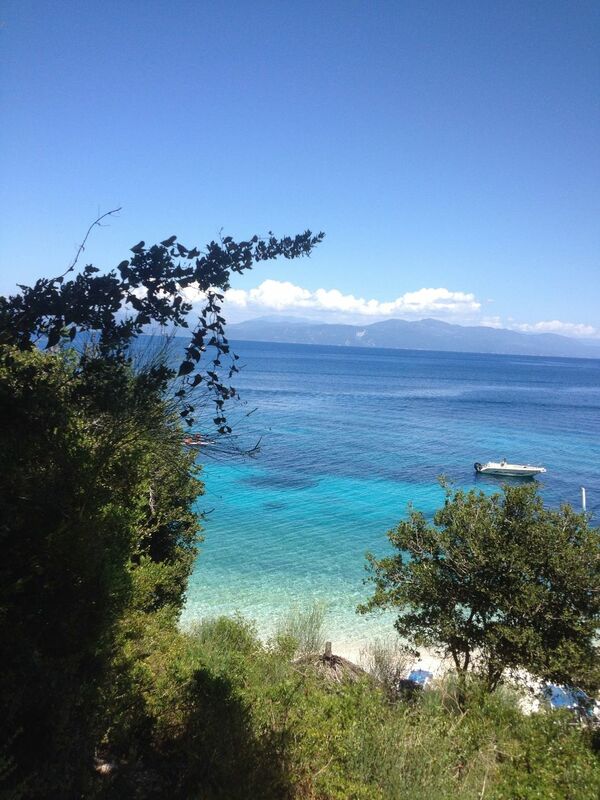 9 miles south of Corfu, Paxos is just 7 miles long by 3 miles wide. 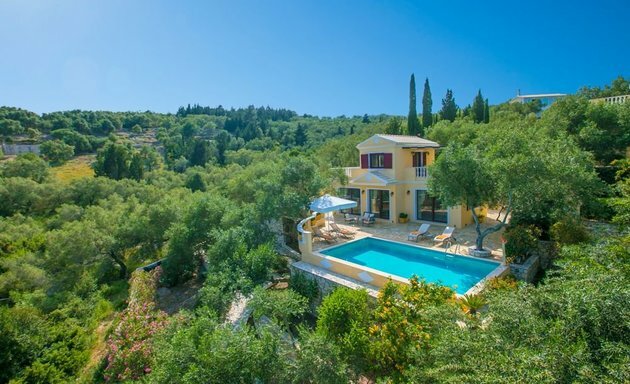 Wherever you stay on Paxos you are never more than a 10 minute drive to one of the island’s 3 ports (Gaios, Loggos and Lakka) and nearby beaches. Smiling Paxiot faces bear out what many people say – that the island is one of the friendliest in Greece. Islanders are genuinely interested in who you are and where you come from. 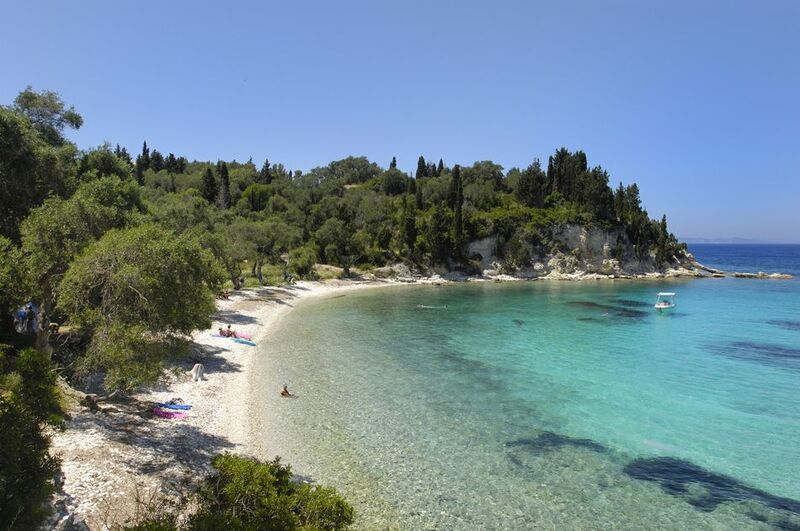 All east coast beaches on Paxos are shingle (great for snorkelling) and some are mixed with sand. All are gently shelving and therefore ideal for children. 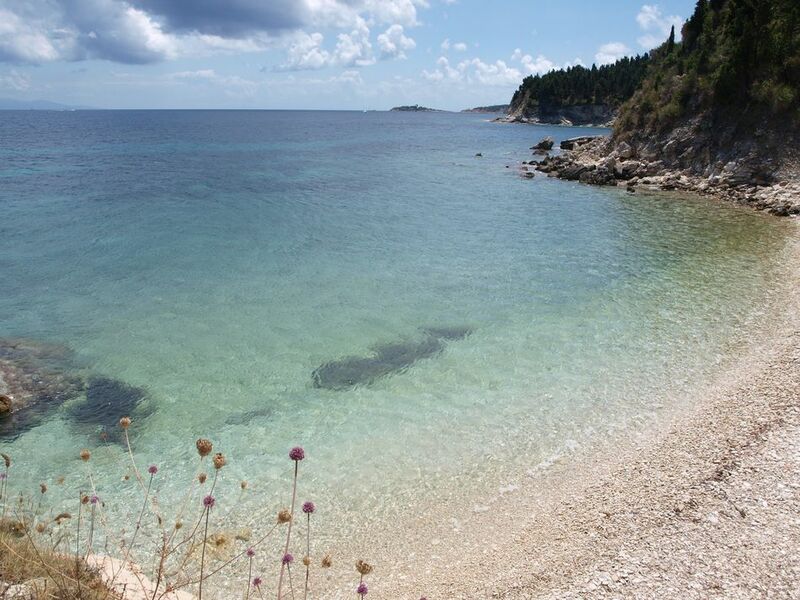 All beaches are refreshingly natural – there are no sun loungers or beach sellers except for Monodendri beach (between Loggos and Lakka) where there are two tavernas, two bars and windsurfing hire. 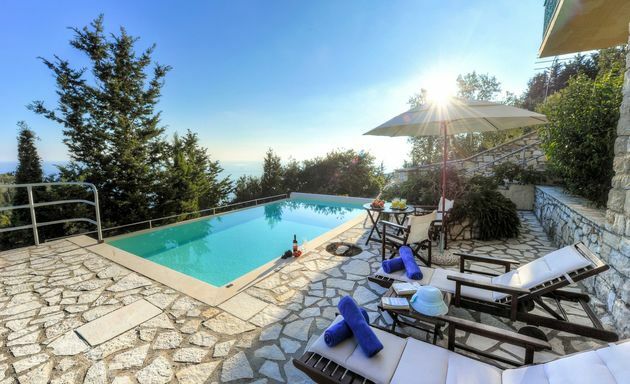 The simple lifestyle of Paxos will appeal to couples and families who want an escape from the more built-up resorts of the Med. 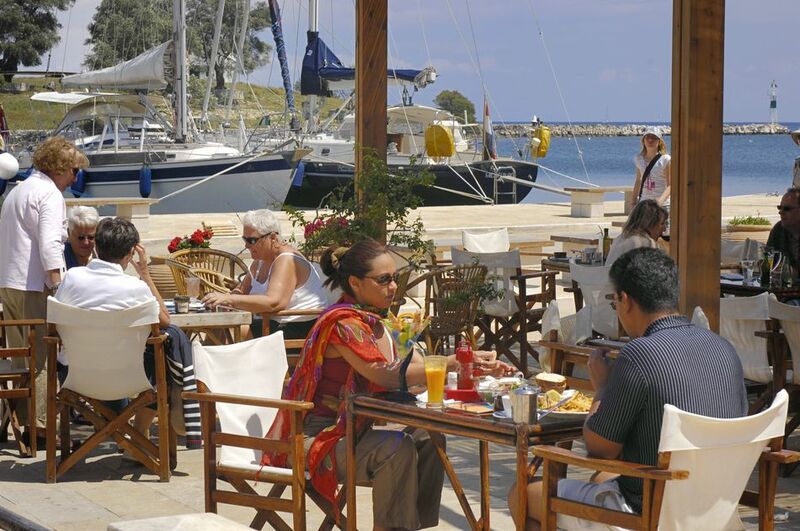 Waterfront tavernas in small, intimate ports provide a romantic setting and a chance for children to play within sight of parents. 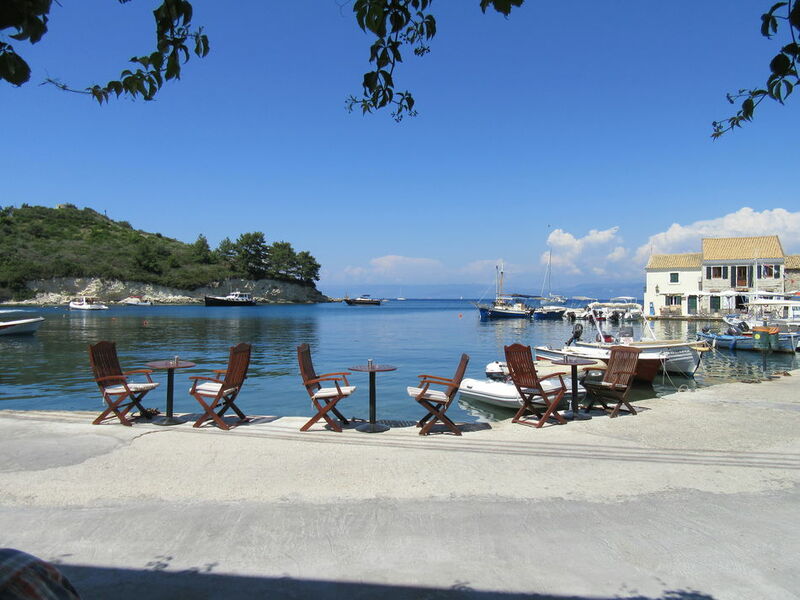 Teenagers will like the waterfront bars but there are only two music bars on the island – both in Gaios. 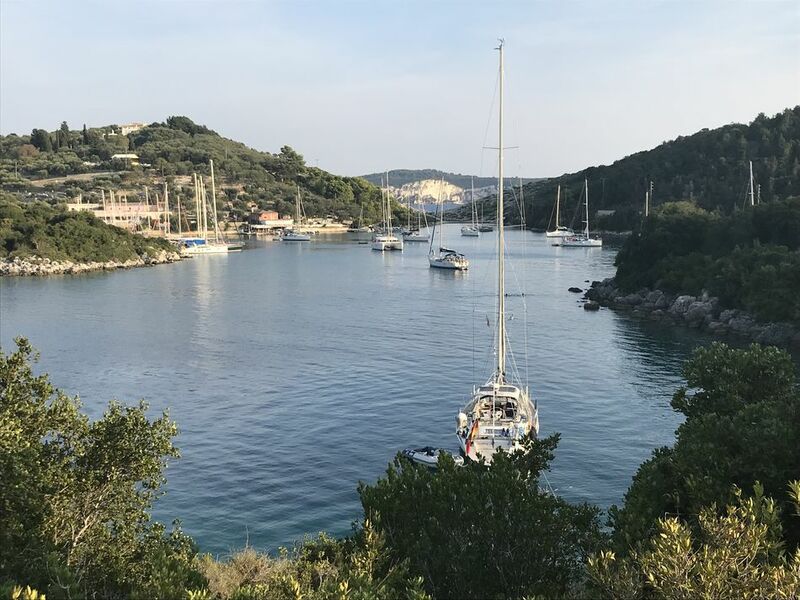 There are no motorised watersports on the island but Monodendri beach (between Gaios and Loggos) has windsurfing and dinghy sailing plus two excellent beach tavernas and an alternative beach bar. 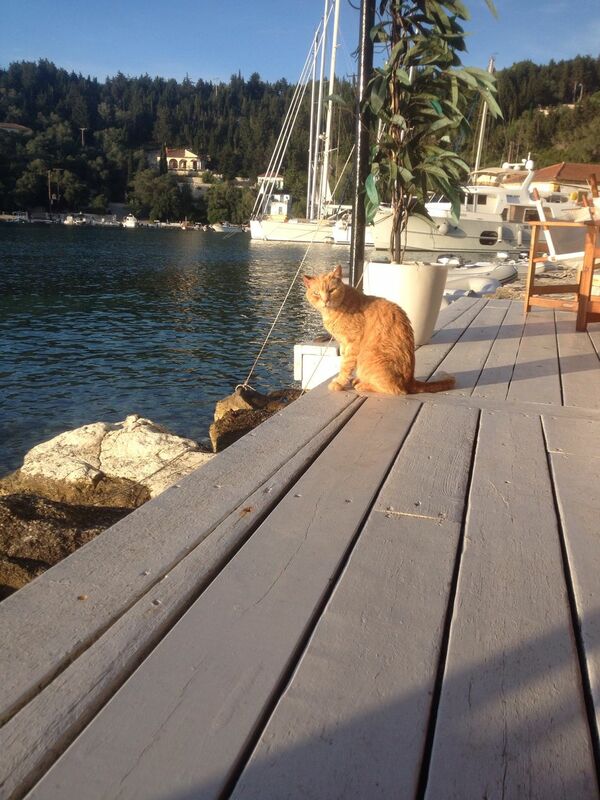 There has been talk about shops and tavernas on Paxos being more expensive than other Greek islands. There is now a healthy diversity amongst the island’s shops and tavernas to cater for all pockets. 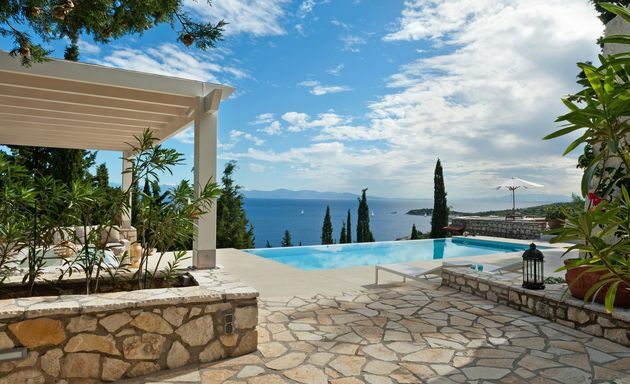 One can buy big, juicy tomatoes and a wedge of Italian parmesan cheese in the same shop; one can order a simple dish of grilled octopus or a fillet steak at the same taverna. One can buy a bottle of retsina for under 2 Euros or a rounded red at over 20 Euros. Over 300 years ago the occupying Venetians offered a golden ducat for each olive tree planted by the Paxiots. 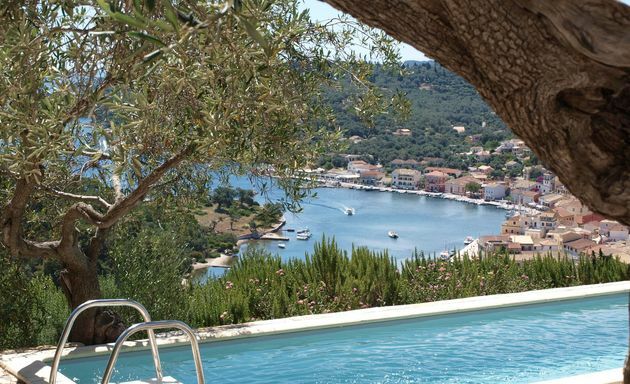 As a result the island is covered by ancient olive groves, sheltering small family hamlets and a multitude of goat paths leading to dramatic vantage points on both coastlines. 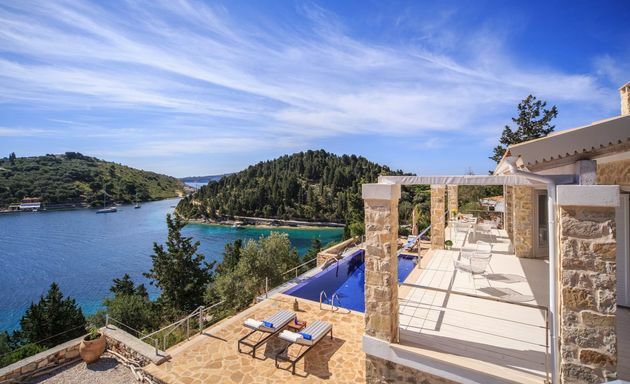 One mile south of Paxos lies the tiny island of AntiPaxos. 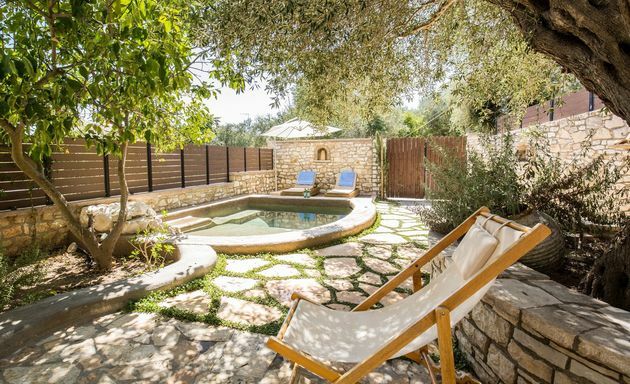 Here there is a population of around 30, a natural landscape of wild olive trees and vineyards, two beautiful sandy beaches and a real escape from the world outside. 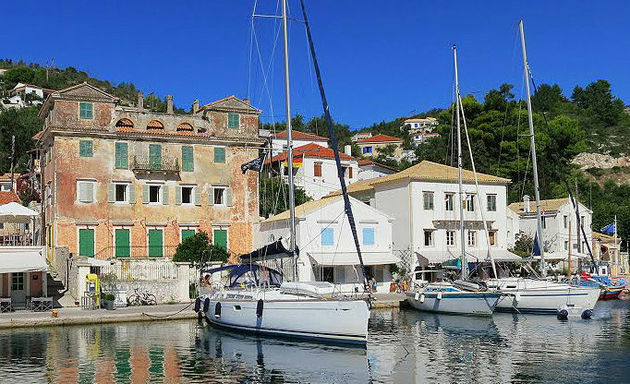 Although small and intimate, Gaios is the capital port of Paxos. 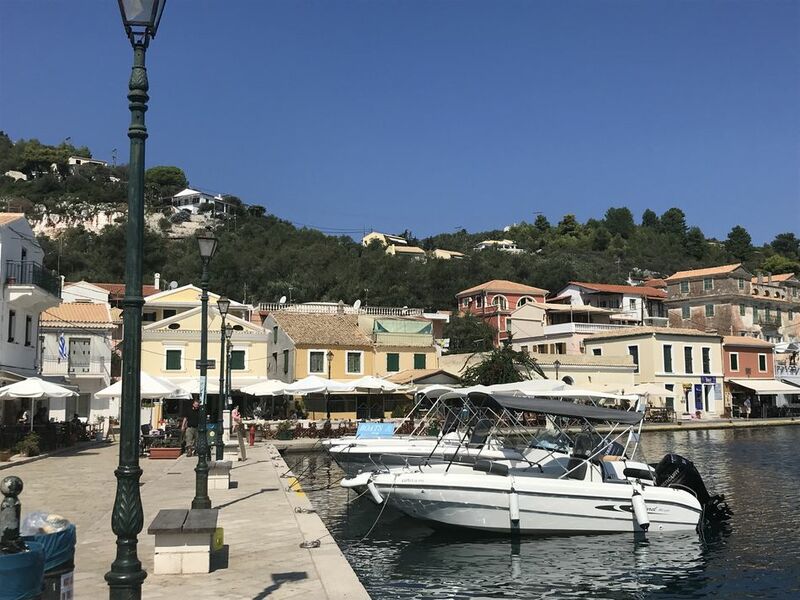 The main square of cafe bars has a waterfront overlooking the pine-covered islet of St Nicholas and leads to a selection of narrow, no-car streets with an attractive variety of shops, bars and tavernas. The delicious bread and pastries at Anna’s bakery make it difficult to choose; tavernas vary from simple grill room to pizzeria to waterfront fish restaurants and traditional dishes prepared by local families. 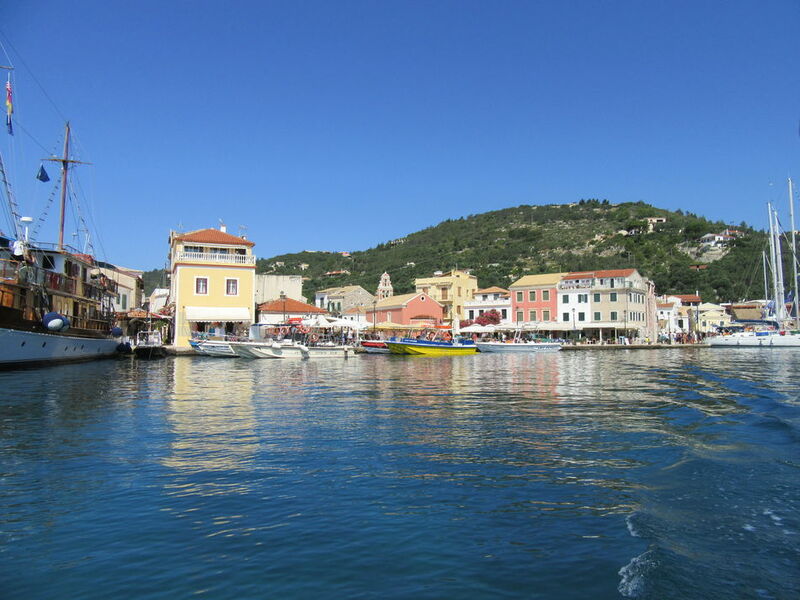 Speedboats depart from Gaios square every half hour taking passengers to the sandy beaches of AntiPaxos (a 20 minute journey). 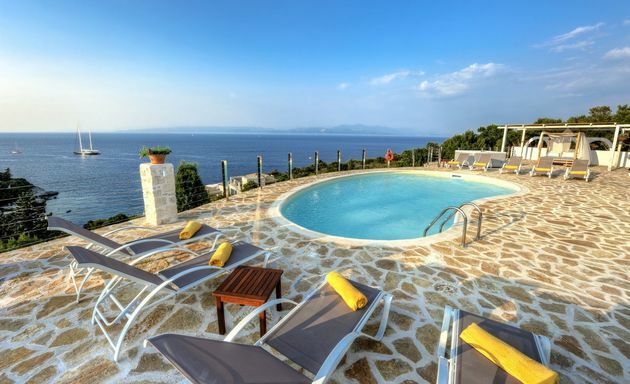 A coastal road leads south from Gaios to the sandy bay of Mongonisi and passes a selection of coves and beaches. The smallest and for many people, the prettiest port. 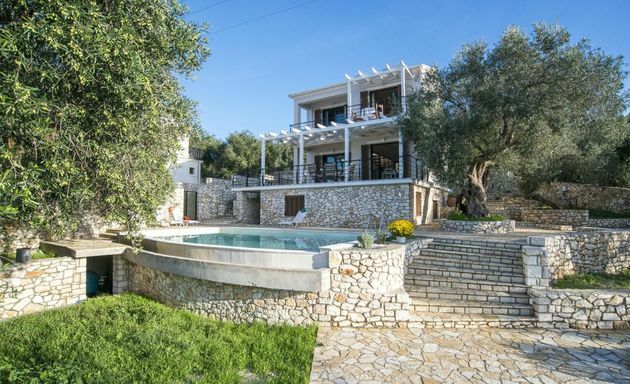 Framed by hillsides of olive groves, the village houses overlook a waterfront of six tavernas and four cafe bars. 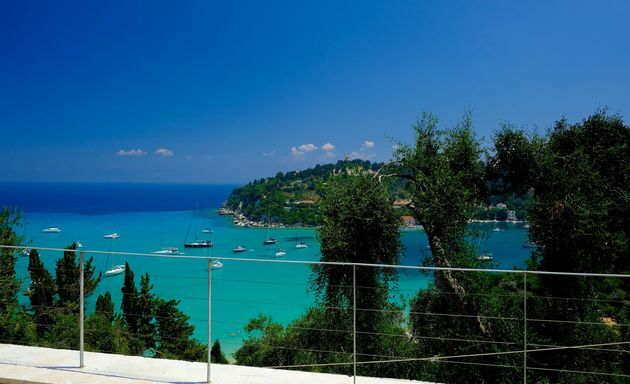 Levrecchio beach is just a two minute walk and boats with outboard are available for hire. 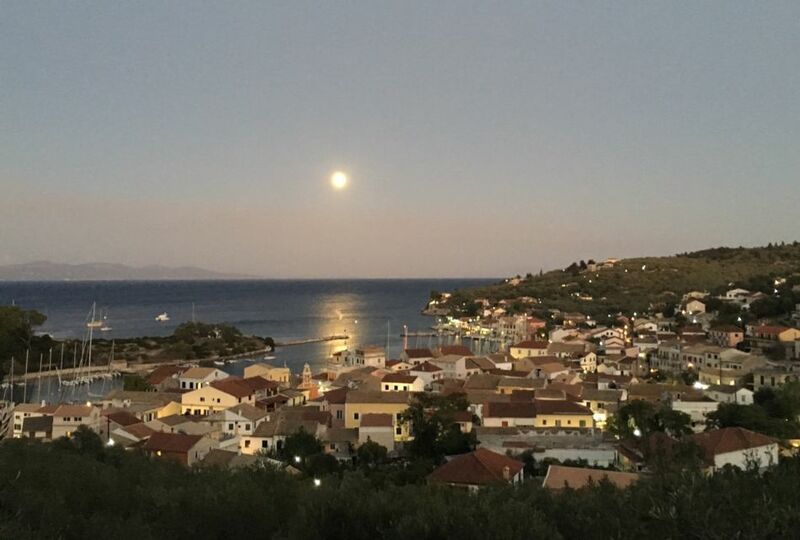 Loggos has a sleepy feel and will appeal to those wanting a selection of attractive waterfront vantage points to people and boat watch. 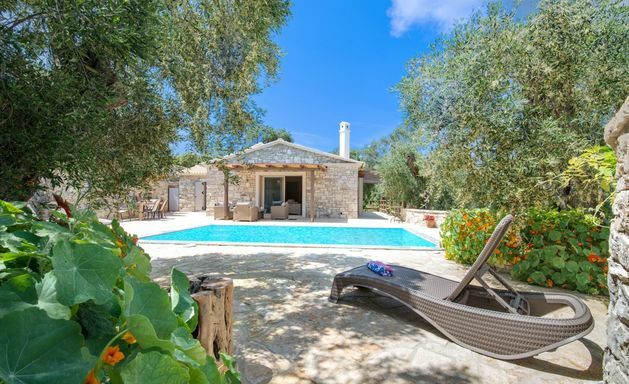 The village has three minimarkets, a bakery and tavernas to suit different tastes and pockets. 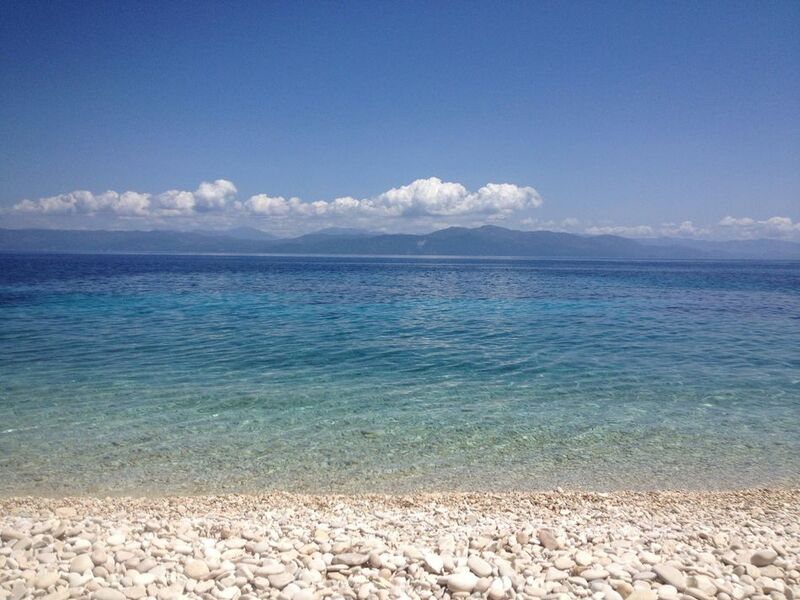 The sheltered bay of Lakka has a sandy bottom and the sea is an enticing clear turquoise. Narrow streets lead back from a waterfront of bars and tavernas to two squares with further tavernas and a selection of shops. 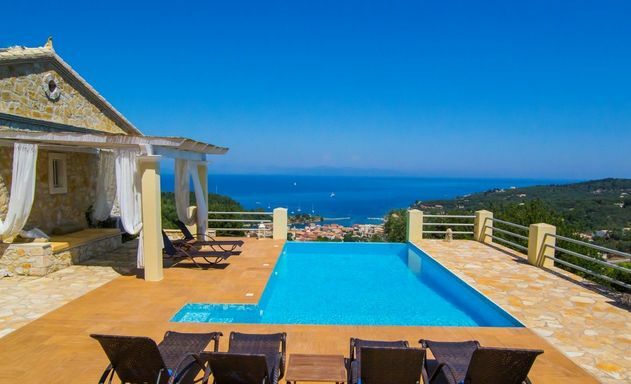 Beaches within the bay can be reached from the waterfront on foot in just a few minutes. Hire a boat and there are more beaches just outside the bay on both east and west coasts. 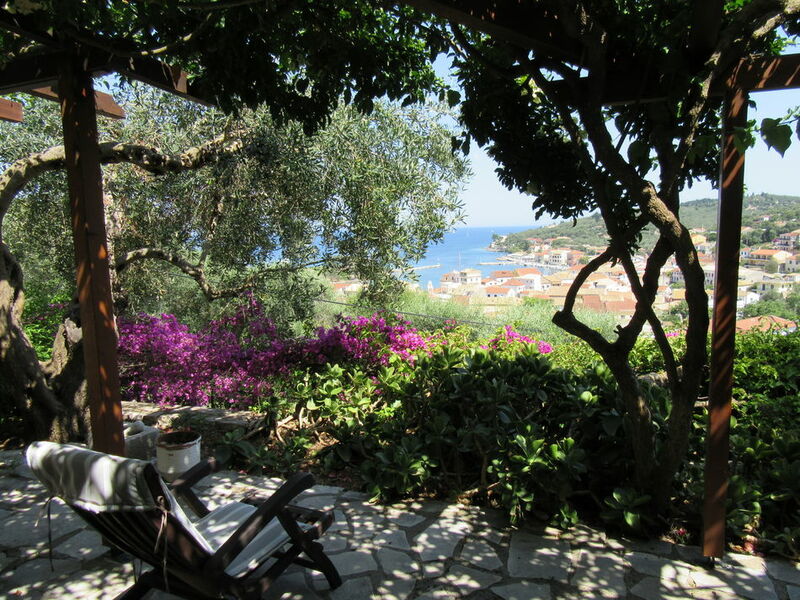 Magazia is a small village at the centre of the island. Drive through it and you may not realise that it is a village. 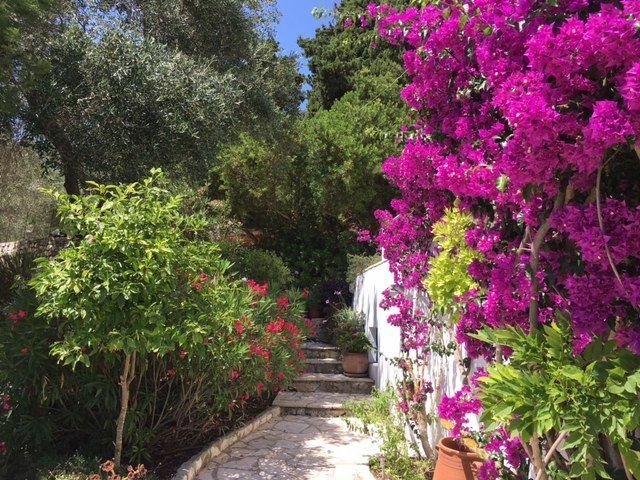 Drive through slowly and you will see a traditional taverna called Lilas, a bakery, a small cafe bar, a plant shop and a general store. 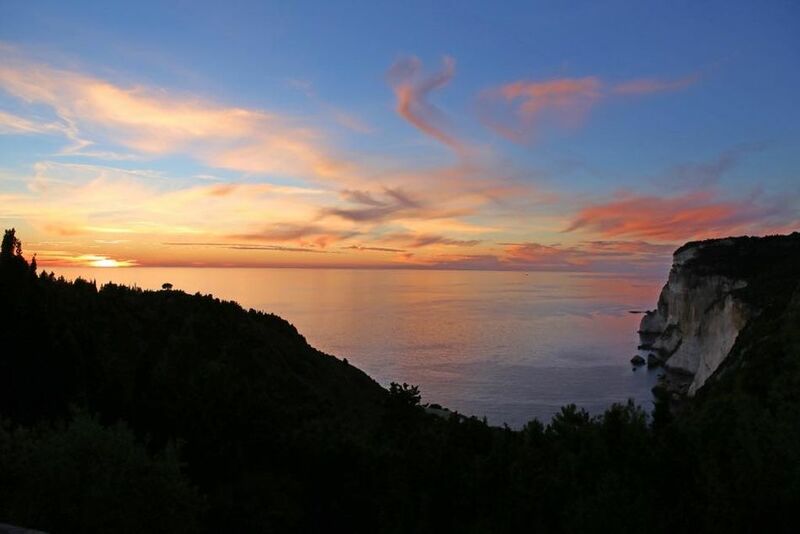 A road leads to the west coast church of the Apostles and the Sunset Bar, both of which have stunning views along the cliffs of Erimitis. 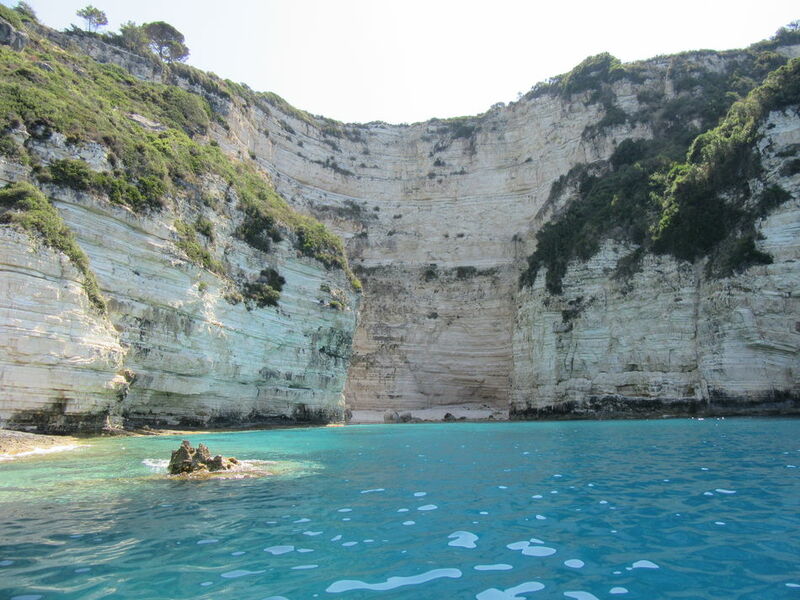 A rough track leads down to a large beach beneath the cliffs with a turquoise sea turned chalky by the limestone rock.